Abstract: Quantum information technologies offer a new and powerful approach to processing and communicating information. By harnessing the strange quantum mechanical properties of photons (such as superposition and entanglement), quantum photonic technologies aim to realise new advancements in communications, metrology and computation. Quantum information processing promises huge computation power, whilst quantum communications offers the ultimate in information security - guaranteed by the laws of physics. Until recently, optical implementations of quantum architectures have been realised using large-scale (bulk) optical elements, bolted onto optical tables. This approach has lead to severe limitations in the miniaturization, scalability, stability and performance of such systems. In this talk I will present an integrated waveguide architecture that overcomes this bottleneck to enable integrated photonic quantum circuits for high performance, miniaturization and scalability. In this talk I will describe recent developments, including the high fidelity operation of key quantum photonics components, such as on-chip two-photon quantum interference and controlled-NOT logic gates. Other advancements include the control and manipulation of up to four photons on-chip, dynamically reconfigurable circuits for on-chip entanglement generation and manipulation, a small-scale quantum factoring algorithm and the quantum simulation of bosonic, fermonic and anyonic multi-particle quantum walks. I will describe our latest results on the fast manipulation of path and polarization encoded qubits, heralded entanglement generation for quantum metrology, on-chip photon pair generation and new material systems for added functionality. These results represent key steps that are crucial for the development of practical quantum photonic technologies for applications in quantum communication, metrology, simulation, computation and fundamental science. Biography: Mark Thompson is a lecturer and researcher fellow at the University of Bristol within the departments of Physics and Electrical Engineering. He holds a master degree in Physics from University of Sheffield and a PhD in Electrical Engineering from the University of Cambridge. Prior to his PhD he was a researcher scientist at Bookham Technology Inc developing silicon-based integrated photonic components for the telecommunications industry. His PhD studies focused on semiconductor laser dynamics and ultra-short pulse generation in quantum-dot mode-locked lasers diodes, and in 2006 he was appointed a research fellowship position at the University of Cambridge. He won the 2009 Toshiba Fellowship award and held a visiting researcher position at the Toshiba research headquarters in Japan, developing silicon photonic components for computing applications. Since 2008 he has held a permanent position at the University of Bristol where he leads a team of researchers developing integrated quantum photonic technologies. 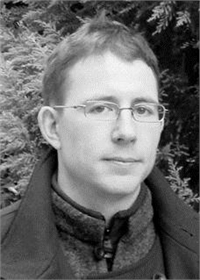 He has been involved in many national and international projects, and is coordinator of the EU-FP7 project “QUANTIP”.